A game at Vanderbilt is nothing more than a convenient excuse for a Nashville weekend. While the game may not mean much in the way of excitement or pride, the setting can't be beat. The PMGN caught up with two legendary Poor Men, Payton Bradford and Lowery Thomas, who now live in Nashville and gave us the insiders' view of what to get into around town. Lowery played golf at UGA, and Payton is one of the founding members of Athens rock legends The Futurebirds. With these two guys you are in good hands. It's like a fun version of Charlotte. The Thompson Nashville. After the Chicago trip, I am a Thompson loyalist! The Thompson Hotel comes recommended by both locals as "Nashville’s swankiest hotel" with "the hottest rooftop bar in town, L.A. Jackson." Rumor has it Payton is known to DJ there from time to time. 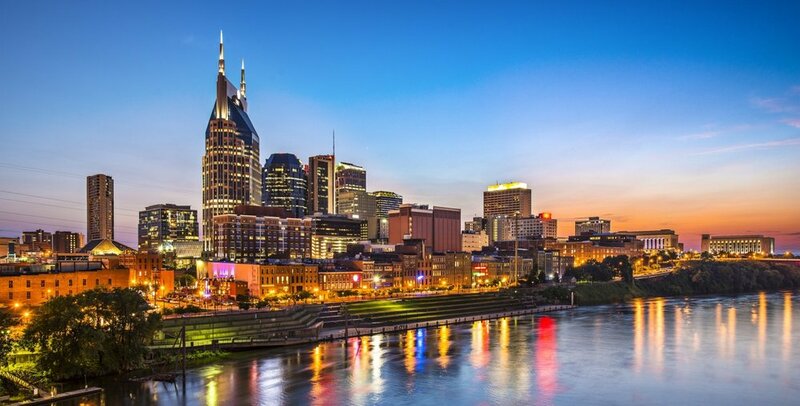 The Nashville Marriott at Vanderbilt University "provides views of Vanderbilt Stadium from the hotel’s east side rooms"...and is also "the location of the infamous Erin Andrews peephole incident" - so wear your best undies if staying here. Payton once "rode an elevator with everyone from Black Sabbath except Ozzy" at the Loews Hotel on West End, but he still claims "the Hermitage Hotel is the most legendary in Nashville". Netflix fans may recognize the Hermitage from it's cameo in the Nashville episode of Master of None. Lowery says other spots to consider would include "Union Station Hotel - Beautifully-restored 19th-century railroad station turned hotel; 21c Museum Hotel - New hotel on 4th Ave with an intriguing in-house contemporary art exhibit. The Westin - Check out the L27 Rooftop Bar and their view of downtown. The Urban Cowboy - For the hipster poor man, check out this boutique hotel in East Nashville." Payton says "the Sheraton next to the Hermitage pretty cool too, with this odd circular rooftop bar that seems like it's been the subject of renovations for the past three years." Payton has the Airbnb crowd covered - "12 South and Belmont/Hillsboro are adjoining, walkable neighborhoods that aren't too far from Vanderbilt and very safe, as is Sylvan Park. If you are staying in East Nashville, I'd recommend sticking pretty close to Five Points, since there are so many good spots within walking distance." In any event, Payton says to "Hop on a hotel quick. They're insanely tough to get." Payton suggests Lockeland Table "a quiet neighborhood favorite in East Nashville" (Lowery says to go with a small group and ask for the chef's table); 5th & Taylor "great for upscale, heartier fare" (in Germantown); Rolf & Daughters for terrific pasta (Germantown); and If you're staying near downtown, The Southern is great for steaks and related items. ○ Butchertown Hall | Germantown - One of Germantown’s best, rustic-chic New American spot with a beer garden for wood-fired & smoked eats, brews & cocktails. Great brunch spot as well. ○ City House | Germantown - Buzzing Italian spot serves pizza, pasta & housemade sausage made with Southern ingredients & flair. ○ Etch. | Downtown - Open-kitchen setting for eclectic, upscale dining, plus a rich cocktail & wine list. ○ Josephine’s | 12th South - Modern American cuisine & wine in a stylish space with tufted leather banquettes & exposed ductwork. ○ Moto | The Gulch - The best pasta around town and unique pizza dishes. Great wine list. ○ Silo | Germantown - Upscale, Southern-accented bistro in a dramatic space with woven wood-panel walls. ○ Virago | The Gulch - Hip hangout for Asian fusion fare, sushi & cocktails, with modern decor & a roof deck. For Casual Dining: For hot chicken, Payton warns, "there's probably not a scenario when you'll want it any time for the weekend except maybe Sunday, but probably not if you have a long car ride. But if you dare, Bolton's is the best, and thy have hot catfish too (East Nashville, 8th Ave. South). Be advised that "medium" hot chicken will still make the sweat pool up around your shirt collar. Lowery mentions Prince's Hot Chicken Shack in East Nashville as "The original Hot Chicken of Nashville." Husk, Big Al's, and Athens Family Restaurant are the recommended breakfast spots. Payton will "not go a week" without heading to Martin's BBQ for lunch ("simply the best" he says). He also points to Brown's Diner "as classic Nashville as you get. Don't order anything but a cheeseburger and a Budweiser"; Burger Up "a great spot for nicer burgers and drinks, with locations in both East Nashville and 12 South"; and Neighbors in Sylvan Park "great bar with really good smoked meats and bar food." ○ Proper Bagel | 12th South + bagels : Lots of bagel and cream cheese variations and exceptional breakfast sandwiches. ○ Edley’s | 12th South and East + BBQ : Great BBQ, killer breakfast brisket burrito (only on Saturday mornings). ○ Martin’s | Downtown and Belmont + BBQ : Best wings in town, location downtown has an awesome beer garden upstairs. ○ The Pharmacy | East Nashville + burgers : Arguably the best burger in Nashville with agreat outdoor patio area. ○ Fido’s | Hillsboro Village + breakfast : Great coffee house style restaurant with incredible breakfast and lunch. ○ 12th South Taproom | 12th South + Pub : Great beer selection and outdoor patio with even better food. ○ Bongo Java | Belmont+ coffee house : Belmont University students’ favorite. Great vibe, specialized coffee, and delicious food. ○ Jam Coffee House | Belmont + coffee house : Best breakfast taco in town, try the Cafe San Fran or the Hula smoothie. ○ Five Points Pizza | East Nashville + pizza : Best pizza in the Smashville. ○ Mas Tacos | East Nashville + tacos : For former Athenians, this is Nashville’s Cali N Tito’s. It’s delightful hole in the wall spot with great tacos, cash only. ○ Arnold’s | Downtown + soul food : The best soul food you will ever have. Only open for lunch on the weekdays. ○ Loveless Cafe | Bellevue + southern cooking : Kind of far out from town, but a legendary spot withgreat southern food. ○ Dessert/Bakery: Five Daughters Bakery (12th South) or Jeni’s Ice Cream (all over town) or Las Paletas (12th South). Endless options here - So I'm just gonna give you the big list. ● Patterson House | Midtown - Great craft cocktail spot in Midtown, normally requires a little wait during weekends at peak hours. ● Old Glory | Edgehill Village - A favorite drink spot in Nash for locals, carries a NYC-esque vibe in an industrial setting. ● Bar Sovereign | Downtown - Funky, art-filled gastropub with changing food & beverage menus & a loungey vibe with a fireplace. ● Pinewood Social | Downtown - Nashville’s version of The Painted Pin with more of a emphasis on hospitality and less on bowling. ● The Urban Cowboy Public House | East Nashville - East Nashville’s best outdoor patio. ● The Sutler Saloon | 8th Avenue - Casual spot away from downtown with live music, go to the speakeasy in the basement. ● Bastion | WeHo - Hip spot off the beaten path in the upcoming WeHo neighborhood. ● Loser’s | Midtown - Fun and cozy venue with live music. ● Printers Alley | Downtown - This is Nashville’s Bourbon Street. Wild. ○ ACME - Multilevel venue with creative cuisine, cocktails, live music, and a large rooftop with views of the Cumberland and Nissan Stadium. ○ Robert’s Western World - Legendary location, Live country bands, cold beer & fried bologna sandwiches draw fans to this prototypical honky-tonk. 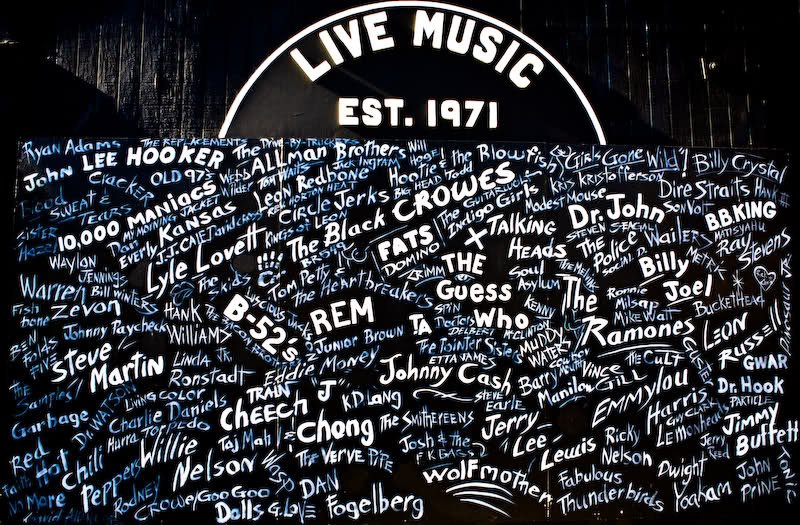 ○ Rippy’s - Lively venue with rooftop deck that serves up rowdy country music. ○ Tootsie’s - This historic watering hole and prototypical honky-tonk is across the alley from the Ryman. ○ Crazytown - It’s all in the name, this spot is quite popular with the younger demographics. Bearded Iris has terrific IPAs and pale ales that won't take the wind out of your sails (Germantown). Little Harpeth specializes in refreshing and delicious European-style lagers and pilsners (East Nashville). Robert's Western World is the best bar downtown, and a perfect taste of Nashville. You won't hear any crappy new country, and will hear terrific honky tonk. Acme is your home away from country music downtown, with great views and great food and drink. Skull's Rainbow Room is the spot for nice cocktails. It's a burlesque bar in Printer's Alley that reopened as a much nicer place after being closed for nearly 20 years after owner was shot inside the bar. If you are finished drinking downtown, and need something to soak up the booze, hit up Paradise Park for great late night grub. Old Glory serves great cocktails in an old laundry facility in Edgehill Village. L.A. Jackson is a cool rooftop bar on top of the Thompson in the Gulch. On the total opposite end of the spectrum, Red Door Saloon and Broadway Brewhouse are the spots in Midtown if you're looking for a dive bar after the game, as is the amazing dive Springwater Lounge near Centennial Park. For afternoon beers, nothing beats 12 South Taproom, which is my neighborhood staple, with a great beer selection and bar food, and a newly expanded patio, that's perfect for a Friday afternoon. Urban Cowboy is a cool B&B across the street from Lockeland Table with killer cocktails. The Back Corner is your spot if you're in Germantown and looking for a club with good cocktails. Three Crow is a classic dive bar with a really terrific beer selection. ● Broadway - Literally every bar has live music. If you want the best of Nashville Honky Tonks, head to Robert’s Western World, Tootsie’s, or the upstairs at Rippy’s. ● The Bluebird Cafe - Legendary singer-songwriter spot in Green Hills. Notorious for starting the careers of Garth Brooks, Taylor Swift, amongst other country legends. Beware of long lines. ● The Ryman - Nashville’s most notable live music venue. Exit/In is a legendary club near Vanderbilt, and co-owned by a UGA graduate, and certainly the Ryman Auditorium is a piece of local history. As for concerts the weekend of the game, I'd recommend checking the Nashville Scene's calendar that week to see what's going on. For other great music stuff, I have to give a plug to Grimey's Records, which is a must-stop if you're on your way out of town on Sunday afternoon. If you want to play tourist, I can't recommend the Country Music Hall of Fame and Museum enough. They have one of Elvis's Cadillacs, which is painted with a mixture of crushed diamonds and fish scales. Stop by the Hatch Show Print shop next door while you're there.